A team of researchers from around the world gathered this week, 2–5 May, at the Nelson Mandela African Institution of Science Technology (NM-AIST) in Arusha, Tanzania, to discuss how to focus their combined expertise on improving banana, a hugely important crop in the East African Region. Dr Mansoor, guest of honor at banana project launch. The researchers—drawn from Australia, Brazil, India, Malaysia, Tanzania, Uganda, Sweden, Belgium, South Africa, and USA—are implementing a five-year project that seeks to improve the production and productivity of banana in Tanzania and Uganda. Worldwide, very few programs focus on banana breeding and this meeting brings together researchers from many of these programs. The project aims to strengthen the banana breeding programs in Uganda and Tanzania to dramatically upscale and speed up ongoing efforts to develop new high-yielding and disease-resistant hybrid varieties. It focuses on the two most popular cooking bananas in the region—East Africa Highland banana (EAHB) also known as ‘Matooke,’ and ‘Mchare’ grown in Tanzania. Millions of smallholder farmers in Tanzania and Uganda rely on banana as a staple food and major source of income. The two countries produce over half of all banana grown in Africa with the region’s yearly crop valued at $4.3 billion. However, the crop only achieves around 9% of its potential yield due to pests and diseases, posing a serious threat to the future sustainability of banana production in the region. “The team will develop hybrid varieties with a 30% higher yield and a 50% higher resistance to at least three of the major pests and diseases compared to the current varieties grown by farmers under the same on-farm conditions. The new varieties will also meet almost all the quality traits preferred by consumers in the current varieties,” says Danny Coyne, a Soil Health Specialist at IITA and the project manager. The diseases are Fusarium Wilt and Black Leaf Streak diseases, and pests include the burrowing nematode and weevils. “Banana is very important in Tanzania but it is being heavily attacked by pests and diseases. With this project, we will build the capacity of our research team to develop improved high-yielding hybrid varieties which our farmers need; have a better and more vibrant breeding system across East Africa that can respond to current and future challenges of the crop, especially now in the face of climate change,” says Prof Patrick Ndakidemi, Deputy Vice Chancellor, Planning, Finance and Administration and the Project Coordinator at the NM-AIST. The project will, among others, provide training for postgraduate students and technical staff in advanced breeding techniques and facilitate the exchange of genetic material across countries and even continents. 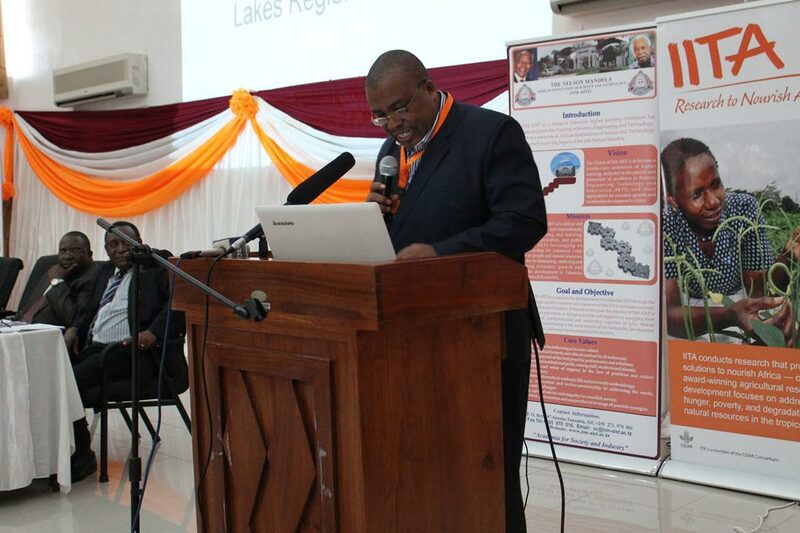 IITA leads the project with national partners in Tanzania and Uganda. The regional breeding activities are being conducted at NM-AIST in Arusha, Tanzania, in collaboration with agriculture research institutes in the banana-growing areas, and at the Uganda Banana Breeding Programme of the National Agricultural Research Organization (NARO) at Kawanda, and Sendusu in Kampala. 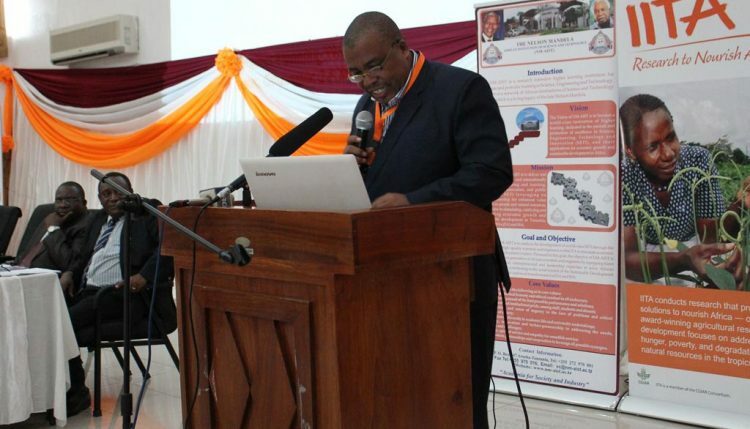 Past breeding efforts by NARO, Uganda, in collaboration with IITA successfully developed the first ever hybrids of EAHB that were named NARITA. 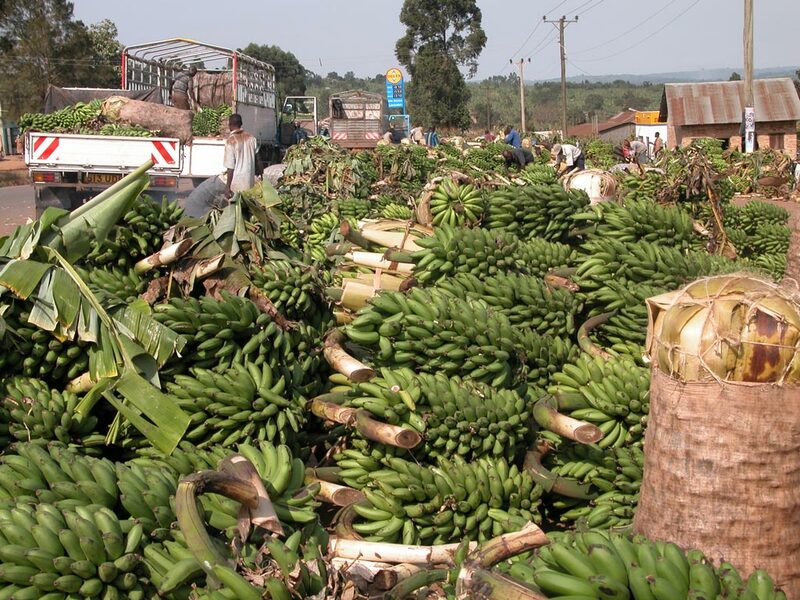 Currently there are 27 NARITAs, two of which are grown in 15% of the banana farms in Uganda. Banana harvests in rural Uganda. Under this project, at least 20 of these 27 NARITAs will be tested and promoted across the region for suitability and acceptance by farmers. “It took the team 18 years to generate these hybrids… Our new project will build on this success and take banana breeding to the next level,” says Prof Rony Swennen, Head of the IITA Banana Breeding program and the Project Team Leader. The project will study the genetic make-up and diversity of existing varieties to identify sources of resistance to the major pests and diseases. This will be complemented by research to understand the spread and damage caused by these pests and diseases, and development and application of quick diagnostic tools and faster screening mechanisms to assess resistance. This project will also facilitate the exchange of genetic material with breeding programs in Brazil and India, therefore establishing the foundations of a globally connected Musa breeding system. The exchange will provide this project with access to improved diploid hybrids for crossing with ‘Matooke’ and ‘Mchare’ germplasm.